By popular demand and after much thinking and pouring over, this course will now be delivered as a one day intensive, this makes for a very focused course and it means the cost is lowered making it affordable to more people. An inspirational journey, this course tunes you into the reiki energy and introduces you to working with and experiencing this energy. At this stage you will learn how to treat yourself so that you can develop your ability as a channel, balance your energy system over time and start developing your intuition. You will also learn how to pass on the benefits of reiki to others, using a simple treatment system. We will use a number of healing modalities in conjunction with experiencing reiki and meditations to help you on your healing journey. Study material is sent to you prior to the course to enable you to familiarise yourself with all the aspect that will be covered, so that you can truly immerse yourself in and enjoy the energy you are receiving during the course. -Practical work to build up your confidence! 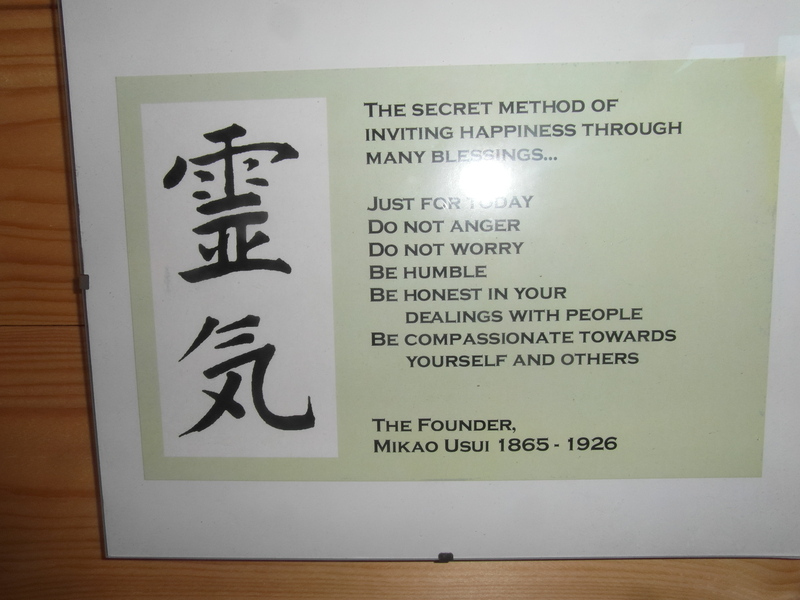 -On completion of your course you will be given your lineage back to Mikao Usui and your 1st degree certificate, as well as an opportunity to partake in regular reiki shares. I would also always encourage students to be in touch in order to answer any questions that may come up after the course. Courses can be done one to one or up to 4 students. However this is such a special time that I aim to maintain small class sizes so that you have plenty of time to experience each aspect of the course and so that we can work in time for discussion. Prior to booking a course you can get in touch to discuss any of the aspects of the course or my own training. If you want to meet up before booking onto the course, I will also very happily arrange this. Next available course 20th of April 2019 , don’t forget to leave me your email and details as well as aspirations for the course.